The dress your rockstar needs this Autumn/Winter! Long sleeves and the funnest hemline that drops down at the back – the skirt of the dress is full, has a great drape, and is perfect for twirling. The heart print is funky and full of attitude, just like your punk baby! 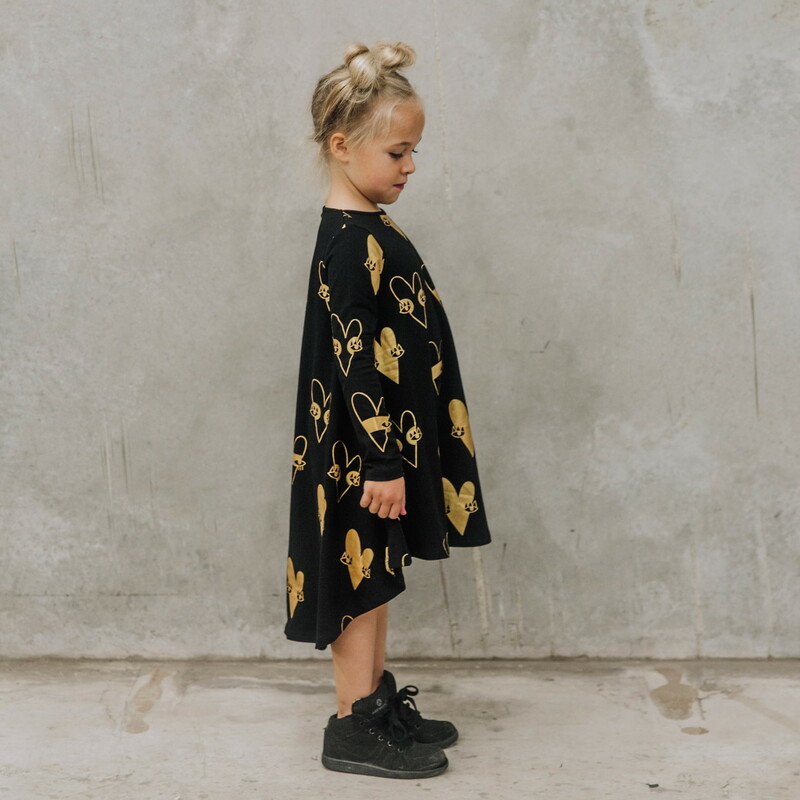 This dress is amazeballs in real life – the print in metallic gold is just perfection!